It was almost 10PM when we landed on San Francisco International Airport. We were picked up by the Juanatas, Ne's church friends from Ugong, Pasig. They were very nice and very hospitable. They are Christian family and I sensed sincerity and goodness. 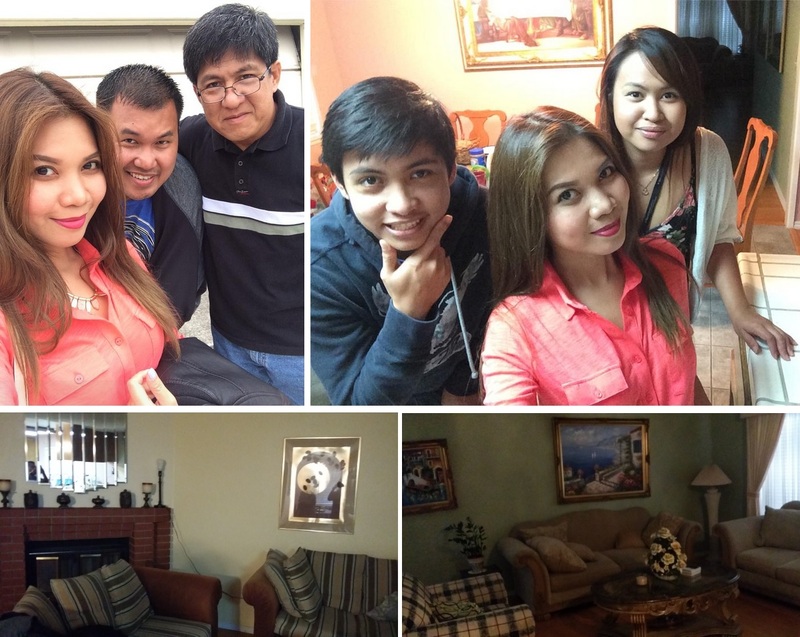 We stayed in their beautiful home at Vallejo. It was only one night accommodation and I really appreciated their kindness. The next day, we headed to the Ferry Terminal and bought tickets. 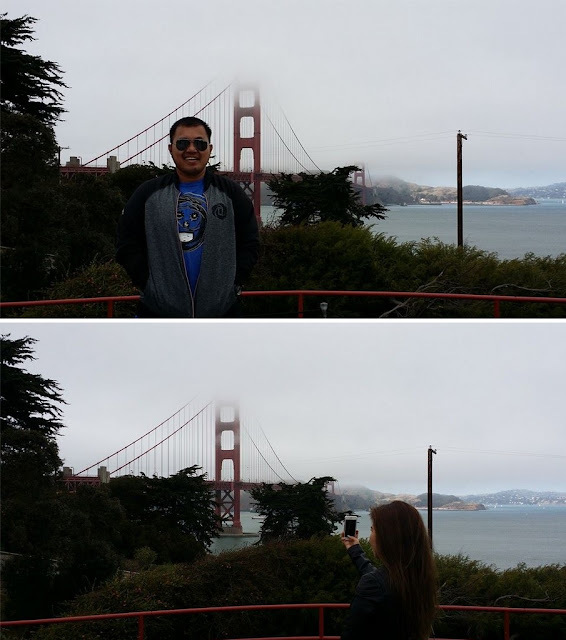 We were going to Pier 39. During the trip, the view along the Napa River was amazing. The calm waters made the journey even better as we took some pictures. We arrived at Port of San Francisco before 9AM and we roamed the area. We walked along the streets and found some interesting places. Pier 39 is a unique site on its own. It has plenty of stalls, markets, stores and food centers. 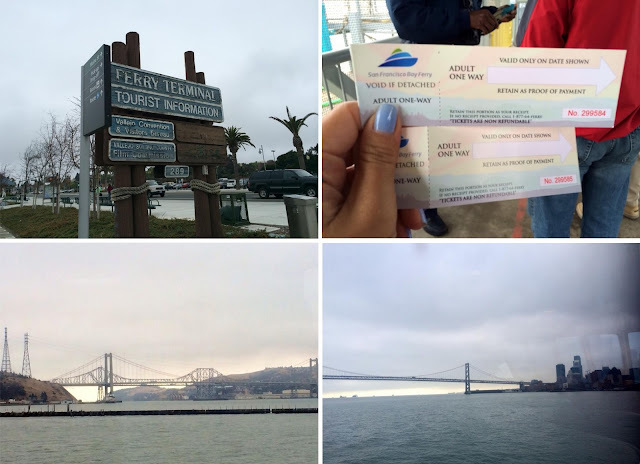 I saw the place where you can take a ferry towards Alcatraz but unfortunately, it requires advance booking as it was full that day. 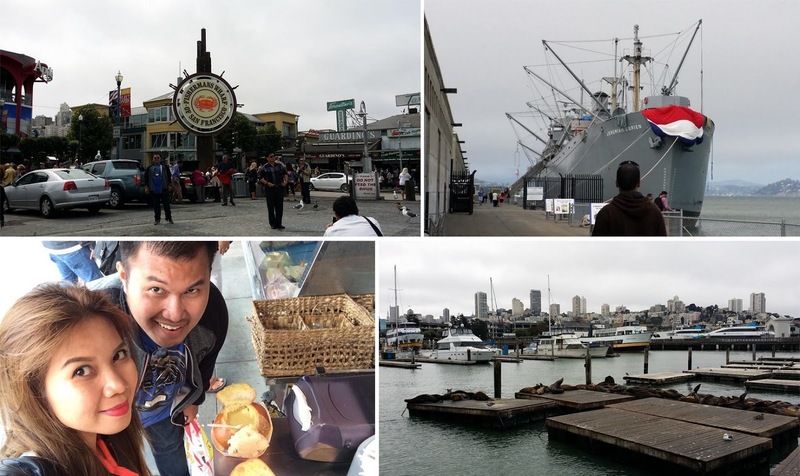 Then, we visited the popular tourist attraction Fisherman's Wharf. 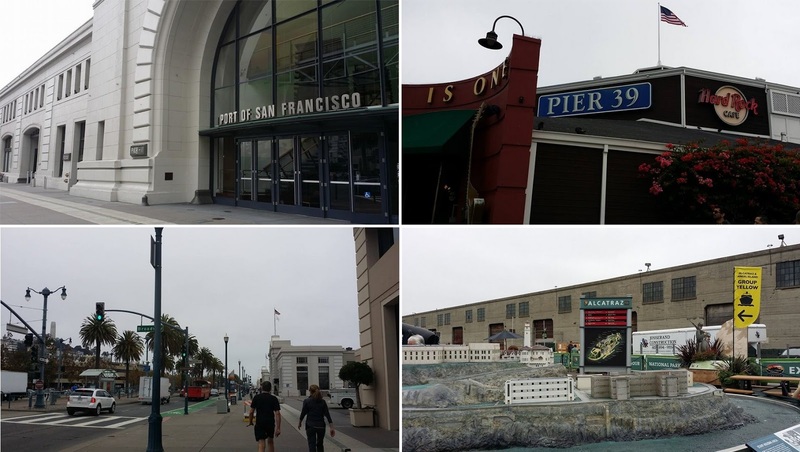 It is located in Pier 39 but this area has other attractions such as museums and parks. But most importantly, there are plenty of seafood restaurants! We tried this crab soup in bread (I forgot the exact name) that is being sold along the streets and I must say, it was very tasty! Also, around the area is a sea lion colony. Of course, we wouldn't miss to visit the famous Golden Gate. From Pier 39, we walked and looked for a bus stop so that we can take it but we got lost so we just decided to take a cab. Ah, it was an ecstatic feeling and I couldn't hide my happiness when I saw the prominent structure. It was a perfect day and a perfect way to appreciate the beauty. At around 5PM, we went back to Fisherman's Wharf and waited for Pam. It was very nice of her to drive us around the city. We went to Japantown (first time to hear such kind of place, mostly it is Chinatown) and Pam treated us some snacks from Sophie's Crepes. 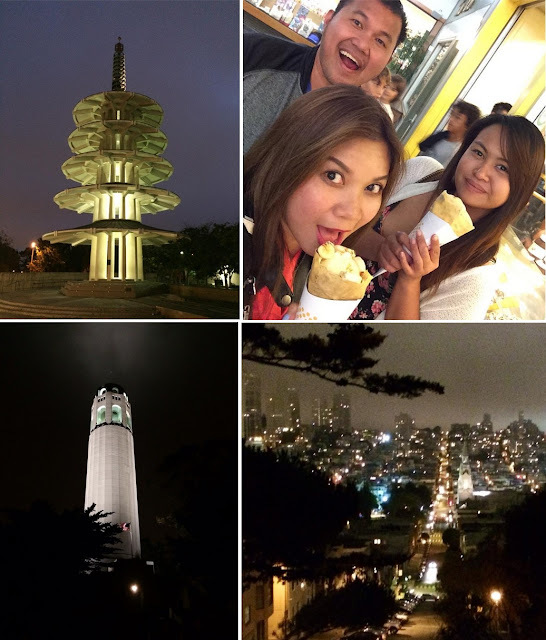 We also visited The Coit Tower and drove around the city at night. It was a magnificent view of the skyscrapers of the city and the lights that surrounded them. Lastly, Pam treated us (again) to a sumptuous dinner at Cha Cha Cha. 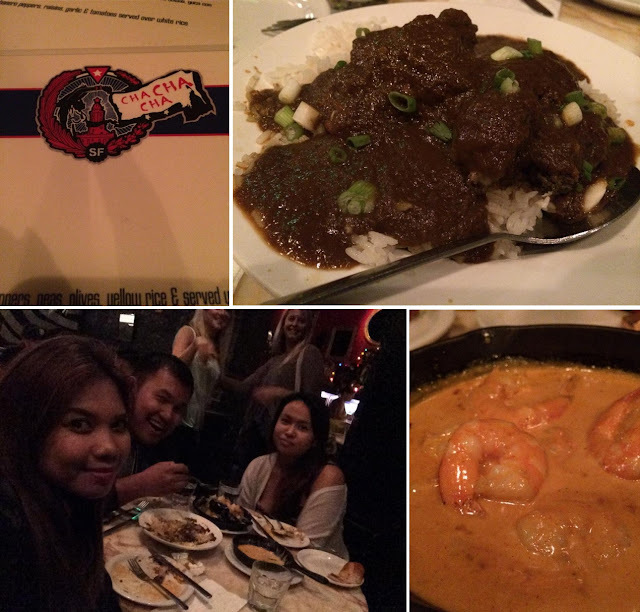 The foods were seriously deelish! We were fortunate to get a table as it was filled with customers. After that, Pam drove us to the bus station where we took a bus going to Los Angeles. Play below video to see other pictures of our trip in San Francisco.